Aplia Econ Blog: News for Economics Students: Should the Music Industry Abandon DRM? Regulators around the world, most notably in Norway and other European countries, have recently expressed concern that the Digital Rights Management (DRM) on the iTunes Music Store inhibits competition, both in the online-music retail industry and in the market for music players. DRM is the software system that ensures that purchased songs cannot be freely copied. The theory is that Apple’s Fairplay system of DRM means that users who make purchases from the iTunes Store can only play those songs on Apple’s iPod. This locks them in to purchasing iPods today and in the future. If this happens to enough people, entry by others into either music selling or music-player manufacturing may be difficult. Apple’s CEO and co-founder, Steve Jobs, recently posted an essay on the subject. It is very well written and its economics are very clear. Jobs first points out that in order to prevent unauthorized copying of songs, music publishers require iTunes to use a DRM system that is uncompromised (i.e., one that isn’t hacked so that DRM features are removed). Apple considers that the only way they can achieve the level of security required of them by the music publishers is not to license Fairplay to others. With both of these conditions present, Jobs argues, it is out of Apple’s hands, and so competition authorities should look elsewhere. Are iPod owners really locked in? No, he shows that on the average iPod, only 3% of music is purchased from the iTunes Store. What this means is that very few users are locked in to the iPod, and when it comes down to it, they have chosen to do so because they could always have got their music like most other people (from buying CDs, which he mentions, and illegal downloads, which he doesn’t). Why not let music play without DRM? Jobs says, “Fine with me.” Indeed, 90% of music sales are DRM-free now. An excellent point. That should smooth relations with them nicely. 1. A strong argument is made in most introductory economics classes that a strong system of property rights is important for economies to function smoothly. While it is easy to assign property rights to private goods like land or cattle, it is more difficult in the case of public goods—goods that are nonrival and nonexcludable. If you post a downloadable MP3 on a public webpage, it essentially becomes a public good. DRM attempts to make a good excludable that would otherwise be nonexcludable. However, as Jobs points out, DRM also makes it more difficult for consumers to enjoy music any way they like. If you were designing the legal framework in which music could be bought and sold, what kinds of property rights would you assign, and how would you protect and enforce them? 2. 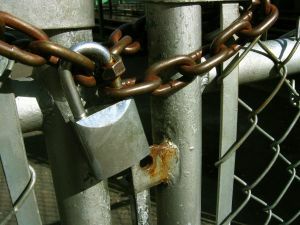 Several web commentators have noted that security isn't the reason the DRM software used by iTunes hasn't been hacked—it's the fact that there is a loophole so wide you could drive a proverbial truckload of CDs through it. Specifically, there's nothing preventing you from buying something on iTunes, burning it to a CD, and then importing the files as MP3s that can be played on any player. How does the existence of this well-known workaround affect the arguments of European governments? 3. Jobs suggests that the two options available to Apple are to use Fairplay or not to have encrypted music. However, suppose Apple chose to offer multiple DRM formats on the iTunes Store and let customers choose which DRM format they wanted to use. That would (a) allow iPod users to choose what they want to get locked in to; and (b) allow owners of other music players to purchase from the iTunes Store. What would the costs and benefits of this be for Apple? Joshua Gans is a professor of economics at the University of Melbourne. He has previously blogged on this issue here and here. Steve makes some good points in his paper.. but his actions don't back up his words. There are smaller artists and labels on iTunes that wouldn't require DRM and in fact would sell their music without it if given the choice. Steve has yet to give them the choice.